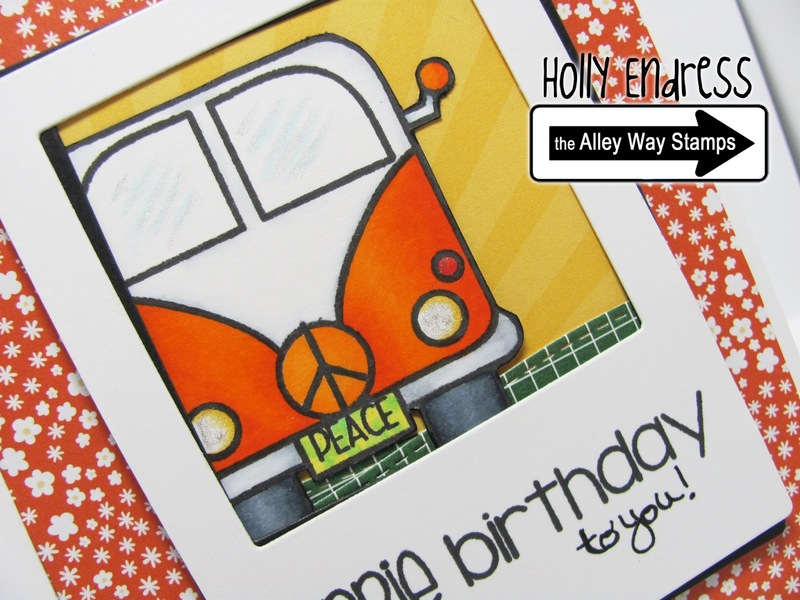 Hollybeary Creations : Hippie Birthday!! Happy Wednesday.. today it's more with the Alley Way Stamps. I created a fun Birthday card using the sets "Feeling Groovy" and "Yappy". I stamped the Van onto some white card stock and colored it in with Copics and cut it out. I then die cut two of the InstaFrame from MFT in Black and White. 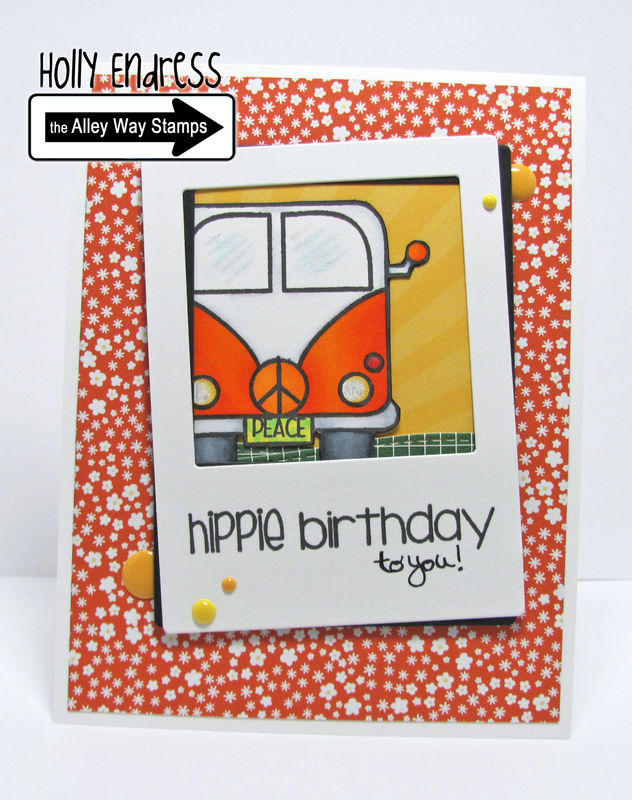 I stamped the sentiment using the Hippie from Feeling Groovy and birthday from Yappy. I wrote to you in my own handwriting then I attached them together off set a little. I created a scene behind the van using the Landscape Trio dies from Mama Elephant and a piece of Pattern paper from Lawn Fawn's Hello Sunshine pack. I adhered the frame to the card front with dimensionals. And then I added some clear Wink of Stella to the light and the streaks in the windows. Super cute!!! 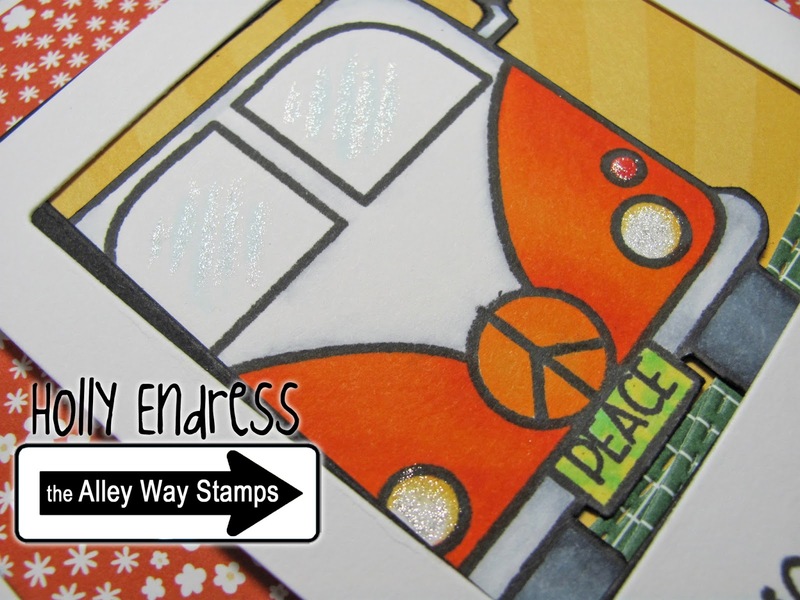 Be sure to head over to the Alley Way Stamps Blog and see more fun using the new Release sets. This is AMAZING!!! I have always wanted a VW bus and I think I will forever want one, until I get one! !